Adventure Tumbler - 16 fl.oz. 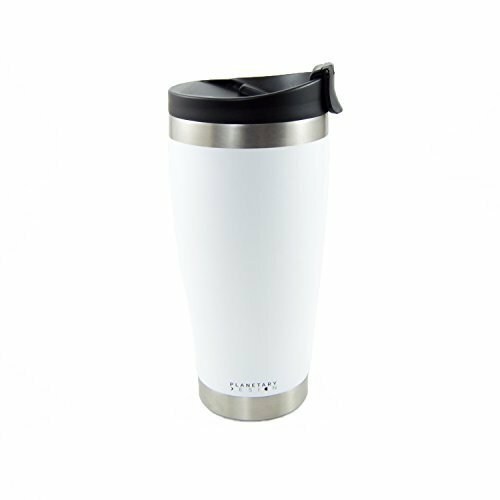 Stainless Steel Coffee & Tea Tumbler with Leak-Proof Lid - Stays Hot For Hours - Snowflake -- New sleek design - Made of double-walled, vacuum-insulated 18/8 restaurant grade stainless steel, this tumbler provides maximum heat retention and nearly bullet-proof durability. It is designed to keep your drink extra hot or extra cold. The unique slant design of the lid allows you to truly sip your drink when 'extra hot' is a little bit too hot. You also have the option of closing the drink spout, leaving it open or snap it closed and make the mug fully leak-proof. Top it off with the screw-on, 100% leak-proof lid. Incredible heat retention and durable -- stays hot for hours! If you have any questions about this product by BrüTrek by Planetary Design, contact us by completing and submitting the form below. If you are looking for a specif part number, please include it with your message.